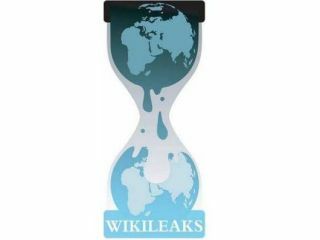 Wikileaks is firmly in the bad books of the US government again, after it released 250,000 US documents into the wild. The leak focused on US Embassy cables (some of which were rubber-stamped secret) and has revealed a number of sensitive talks between high-ranking world diplomats. Some of the most embarrassing information includes conversations between Arab leaders and the US government about whether to bomb Iran. Problems over the instability in Pakistan is also within the documents, as is the growing nuclear relationship between China and Sarah Palin's favourite, North Korea. The UK has also been embroiled in the leak scandal, with news that Prince Andrew has made inappropriate remarks about segments of Britain's police force. There's also information that wouldn't look out of place in a James Bond novel: it seems that the Russian Intelligence Authority has been using the Russian Mafia to do some dirty work for them. The documents released are so far reaching that they even mention the reasons Google quit China in January was because of a member of the Politiburo Communist party, who was angry that he was criticised in a number of articles. This leaking of highly sensitive information is the latest in a long line of 'scoops' for Wikileaks. Not even a DDoS attack on the site could stop the documents being released. Considering there are 250,000 documents to sift through, expect a lot more to come out in the coming weeks – enough to put diplomats everywhere into crisis mode.